Well, he’s right, because the CDC is the PR arm of the vaccine industry. 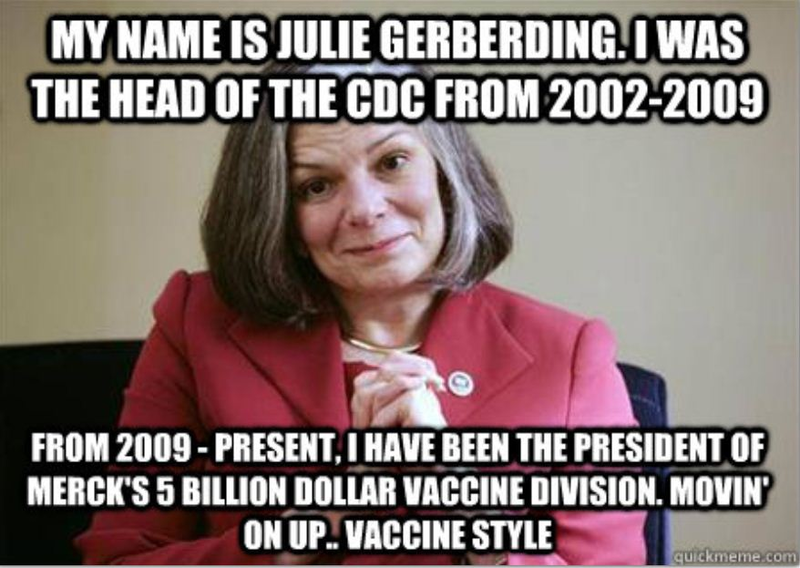 The CDC is a major purchaser of vaccines for the US federal government. If this boy won his case, other cases would follow. The potential monetary exposure in judgments? A trillion dollars or more. William Thompson, the CDC whistleblower, is the subject of the film Vaxxed. Thompson has admitted publicly that he and his CDC colleagues literally threw damning data into a garbage can, to avoid reaching the conclusion, in a 2004 study, that the MMR vaccine raises the risk of autism in children. His testimony in court would be explosive, to say the least. Since he is still employed by the CDC, his bosses can keep him out of court. They can muzzle him. They can threaten him. No doubt, Thompson has also signed non-disclosure agreements with the Agency. How far would the federal government go to silence Thompson, who could open a Pandora’s box containing a trillion dollars in potential judgements? All the way is the obvious answer. The implications of Thompson’s testimony involve much more than money: the massive destruction of lives through vaccinations. That is ultimately the crime of crimes at the bottom of the cover-up. And the CDC would be rightly seen as a primary agent in both the crimes and the cover-up. If the US Department of Justice had any sense of honor, or courage, scores of CDC employees would be in jail right now. And if major media outlets had any sense of honor, or courage, they would be swarming all over the CDC, hammering on many employees and obtaining confessions from them, releasing the rank truth about vaccines from the Agency’s offices and labs of shame.